This makes us want to redecorate rn! Have you ever wondered what the homes of your favorite Hollywood celebrities look like? 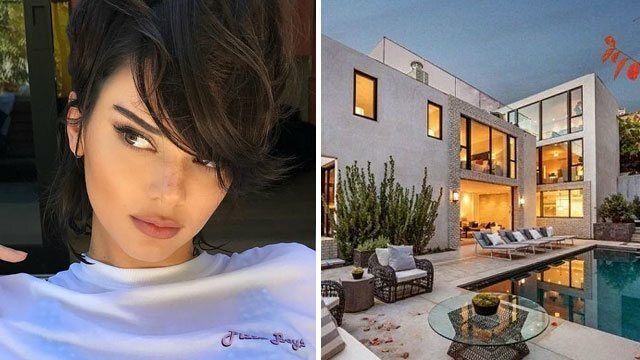 Here, we've rounded up seven ~*gorgeous*~ homes of our fave celebrities to give you an idea of where they live and also to inspire you to give your rooms some lovin'. We don't know if Tay goes home to this property or if it's actually an investment. Her gorgeous mansion has already been declared as a historical landmark for its classic architecture. Before it was bought by the singer, this property was first under the name of movie mogul Samuel Goldwyn. Just this May, Harry reportedly bought an apartment in Manhattan in the same building as couples Jessica Biel and Justin Timberlake, and Blake Lively and Ryan Reynolds. Another fun fact? His ex Taylor's Tribeca apartment is also in the same area. Aside from this property, Harry also reportedly bought a penthouse in England last year. The Instagram ~*KWEEN*~ bought a cozy mansion with four beds and four baths in Studio City, California in May, and we're already in love with the home-y feels we get even just by looking at the photos! The modern-looking apartment was reportedly bought by Gigi just last year. It has two beds and two baths, perfect for when her BF Zayn Malik comes over. We're 90% sure this mansion in Malibu has been a witness to Miley and Liam Hemsworth's sweetest moments—which most probably inspired her to write the song "Malibu." The hitmaker's gorgeous property in the area has four beds and three-and-a-half baths and boasts of the beautiful greenery that envelopes it. Plus, it's also near Liam's property. Hee hee.